The 5th Annual Mini Mustangs Youth Track meet (April 28th) is a great chance for the kids in our community to try their hand at Track & Field. There are all sorts of fun races for kids K-8th grade, and an Open Mile Run & 100 meter dash for the adults. Kids can try their hand at challenging events like the long jump or even shot put. One small entry fee of $20.00 includes a T-Shirt and participation in 3 events. 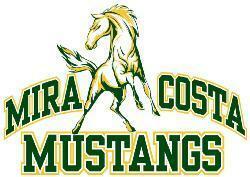 The entire Mira Costa Track & Field team will be on hand to cheer on our little champs. A good time is had by all! Learn more here. Register here.